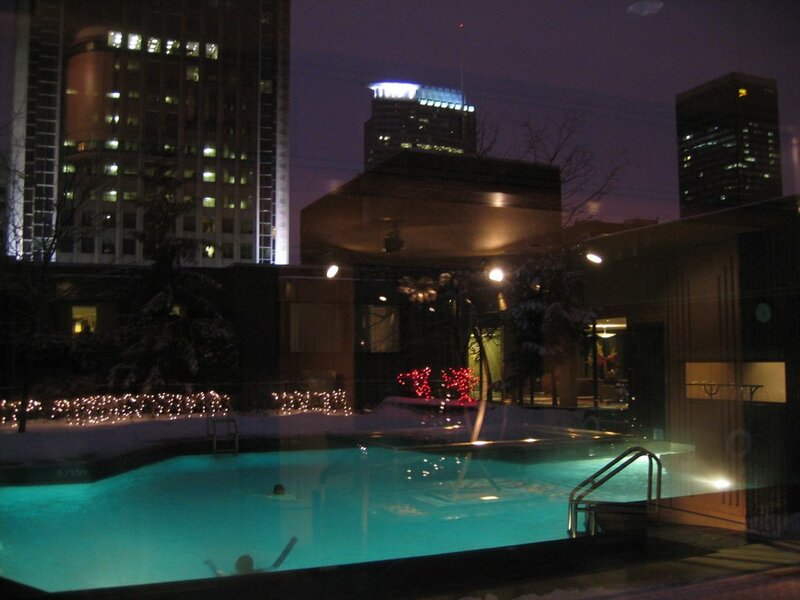 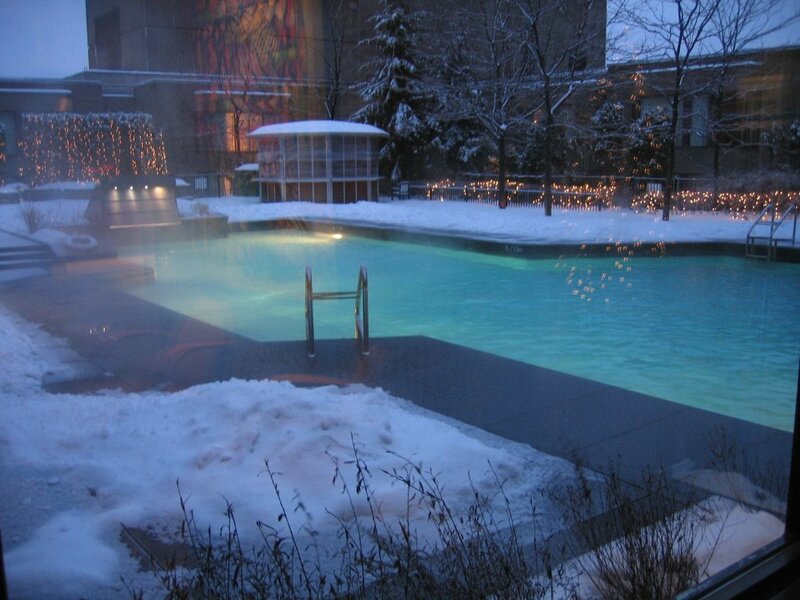 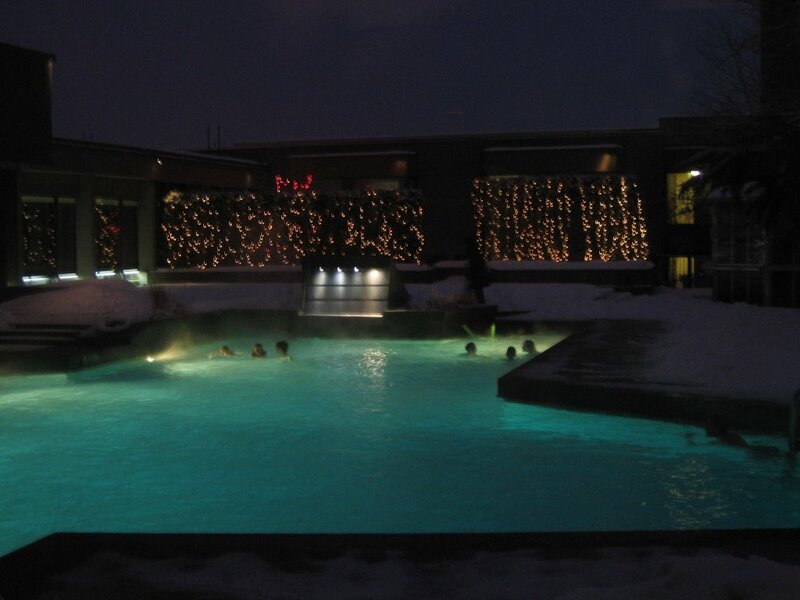 The heated outdoor swimming pool at the Hilton Bonaventure in downtown Montreal, Quebec. 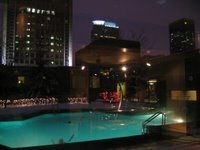 You get into the pool from the inside of the building as you can see in the picture on the top left. 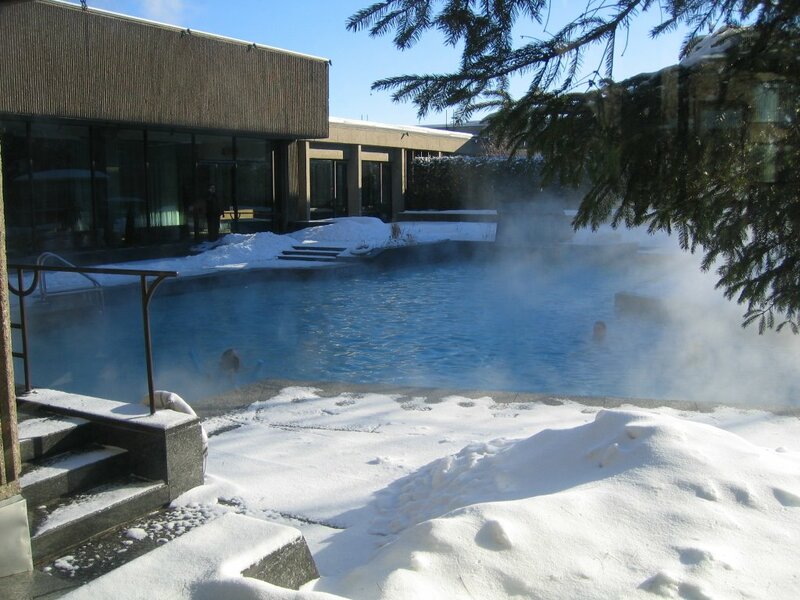 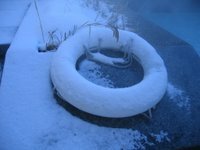 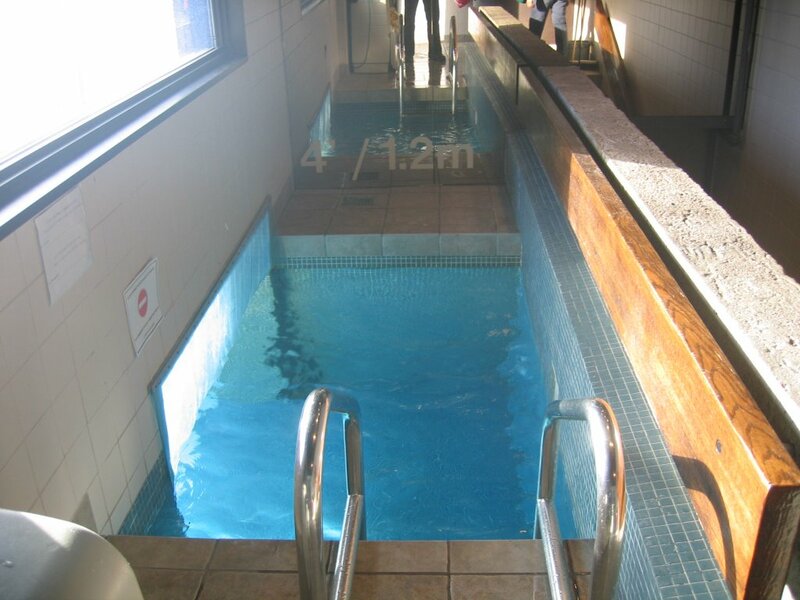 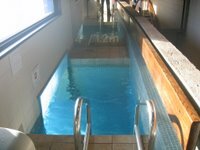 The temperature of the pool is kept at 30° C or 86° F.